This charming, light-filled, one-bedroom Parlor Floor residence in a circa 1900 twenty-foot wide townhouse is conveniently located in SoHo off of 6th Avenue and Prince Street. This five unit building is separated from the avenue by Father Fagan Park, creating a quiet, quaint environment. 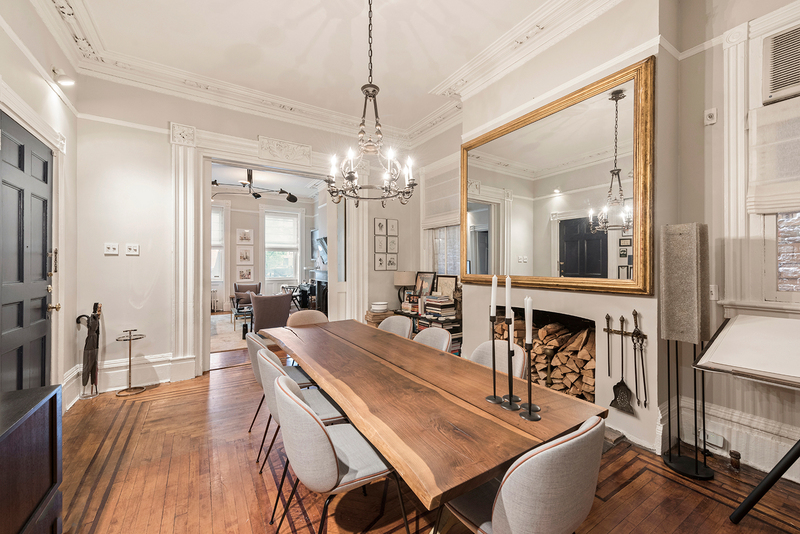 At approximately 1,300 square feet, this spacious home has many pre-war details including herringbone hardwood flooring, two working fireplaces, crown molding, soaring twelve-foot ceilings, antique chandeliers, wall-mounted candelabras and eight large windows. The living/dining area has two western facing windows which allow for sunlight throughout the day. The windowed galley kitchen features stainless steel appliances, including a vented cooktop and oven. The bedroom, which overlooks a picturesque garden, is pin-drop quiet and boasts two large walk-in closets. 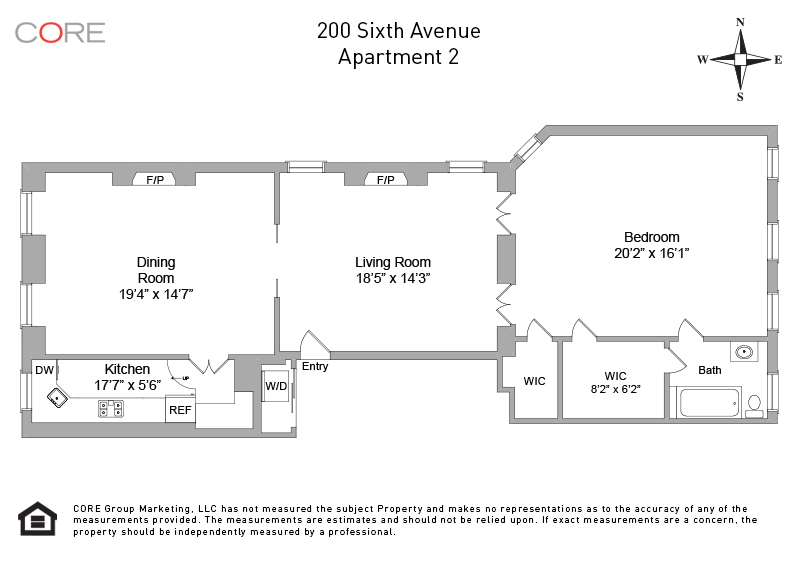 There is a full size Frigidaire washer and dryer on the floor (shared with one other tenant).